Learning about science and how the world works isn’t just for older kids. 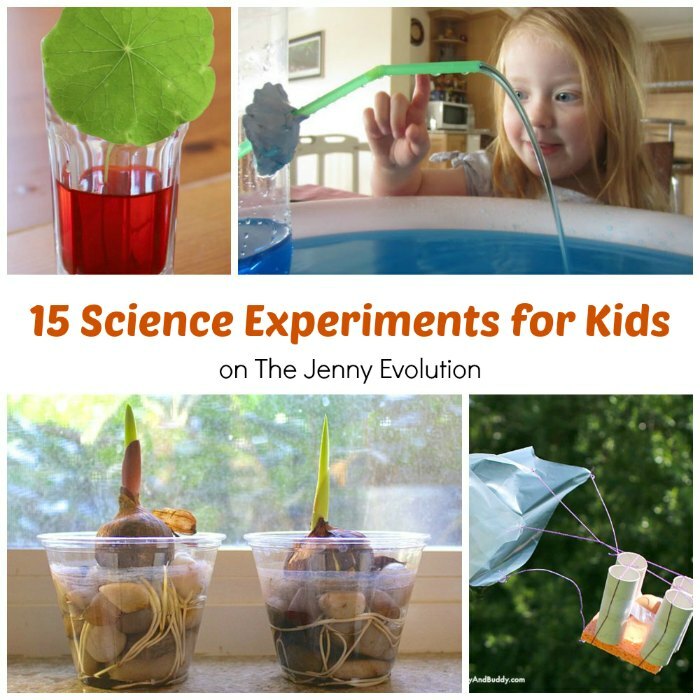 Many of these experiments are perfect for toddlers and grade-school kids alike. Every week you can find amazing projects, crafts and activities to do with your kids with the Kids Co-Op, and I’ll be highlighting some of them with a common theme. This week’s theme is science experiments for kids. Hi Jenny! Science experiments are always lots of fun!